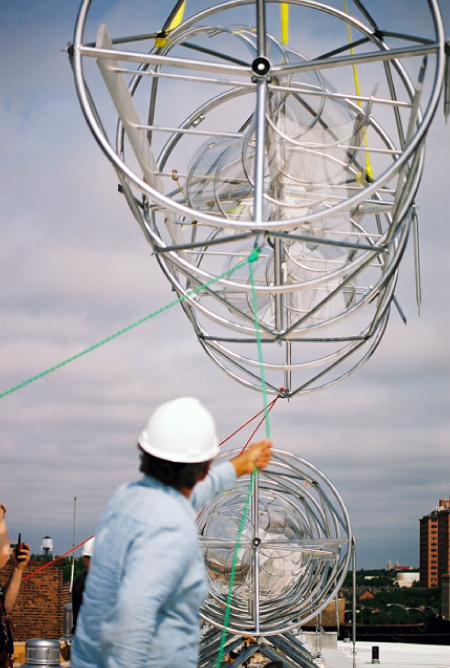 Specialized wind turbines can be integrated into the design of new and existing structures, generating clean energy and providing an innovative artistic element to the building itself. 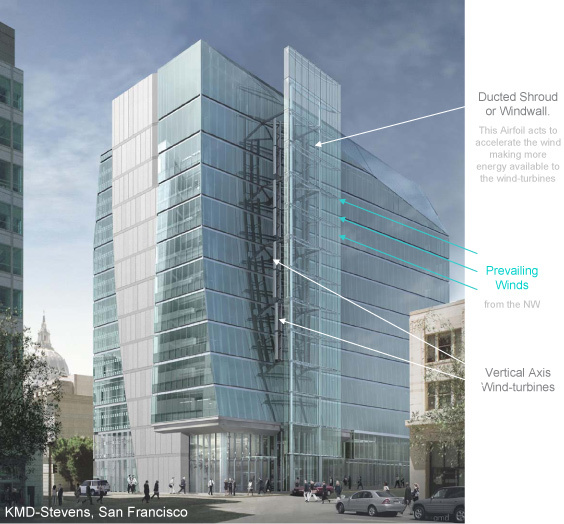 Wind turbines are incorporated into the design of buildings based on how the building can shape, funnel and harness this abundant source of renewable energy. 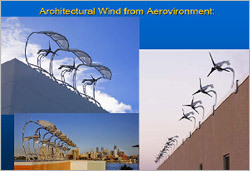 Wind turbines represent one of the many types of renewable energy technologies that can be integrated into the design of new buildings, as well as existing structures. 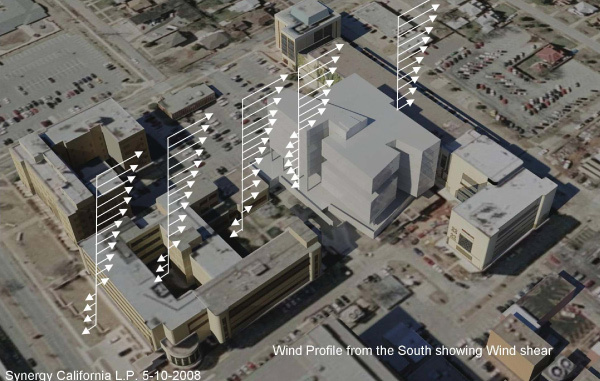 When we study the movement of air in the city, streets behave as canyons and channels for accelerating and slowing down the wind. 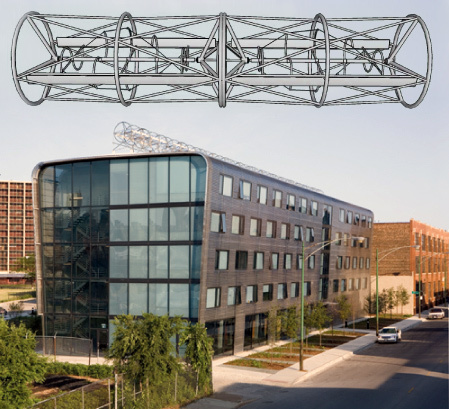 As we incorporate wind turbines into the building, the architectural designer becomes aware of how the building can shape, funnel and harness this huge source of renewable energy. 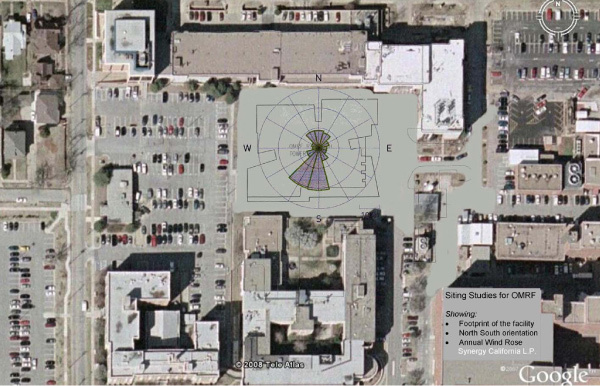 Below: The Roof Plan showing the placement of solar and wind energy collectors. 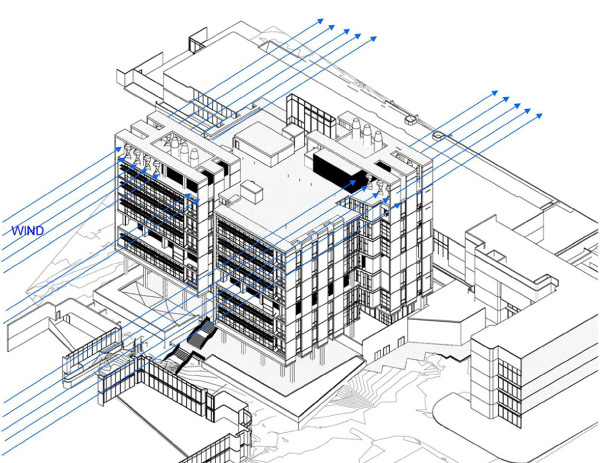 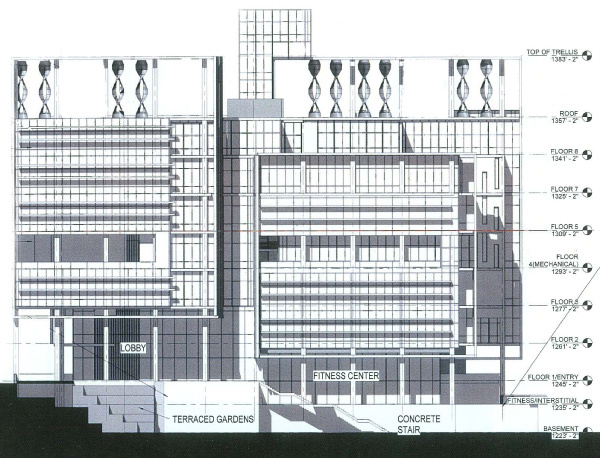 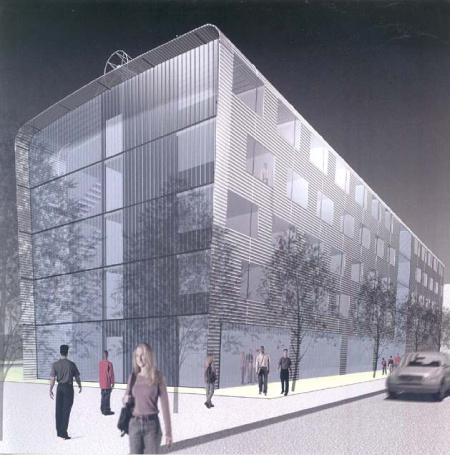 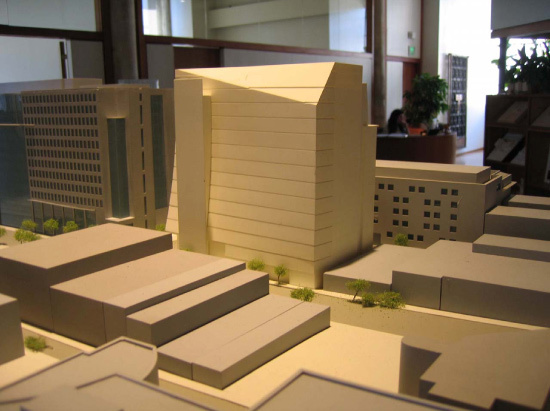 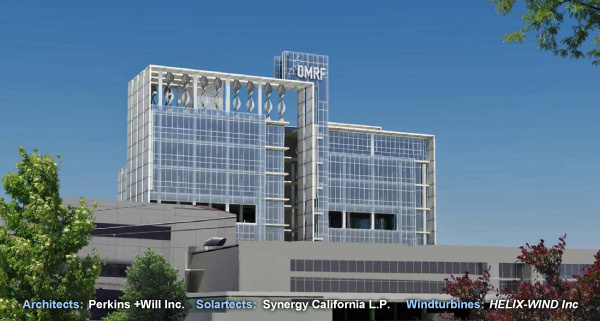 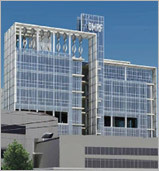 Video: View plans for the new OMRF research tower building going green. 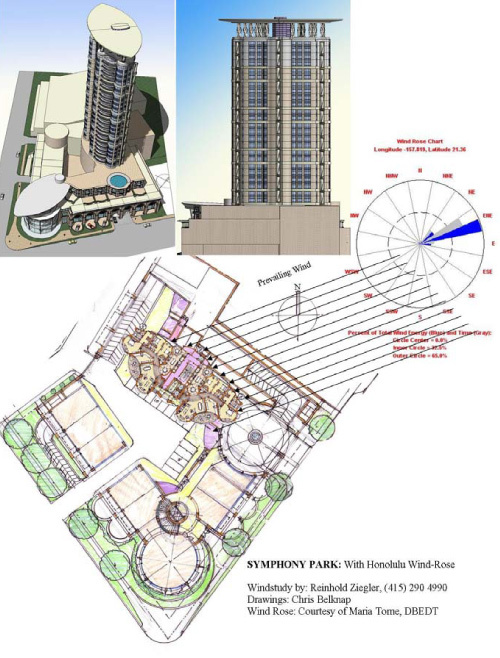 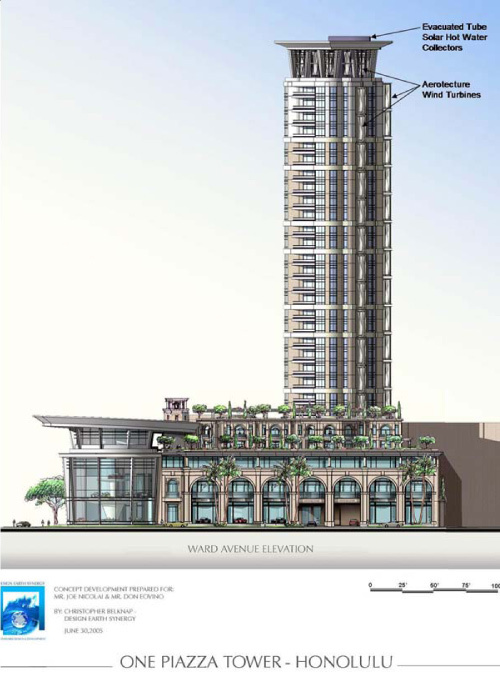 From wind rose and wind-spectrum information we are able to align this future building with the free natural energy gradients of sun and wind. 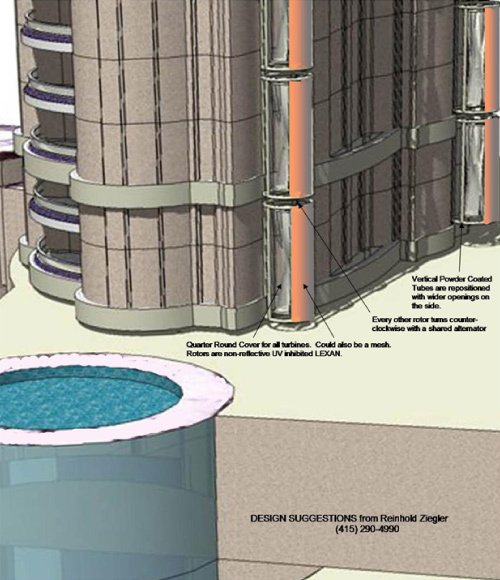 The roof has 20 Aeurotecture wind turbines which are augmented with an upper roof, thereby accelerating the wind further. 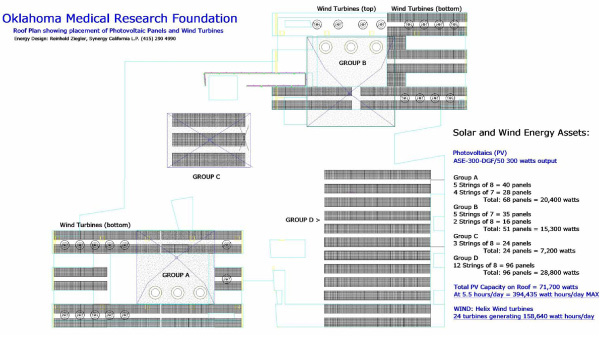 3 vertical columns of 12 Aerotecture wind turbines (36 total) will be mounted facing the prevailing wind. 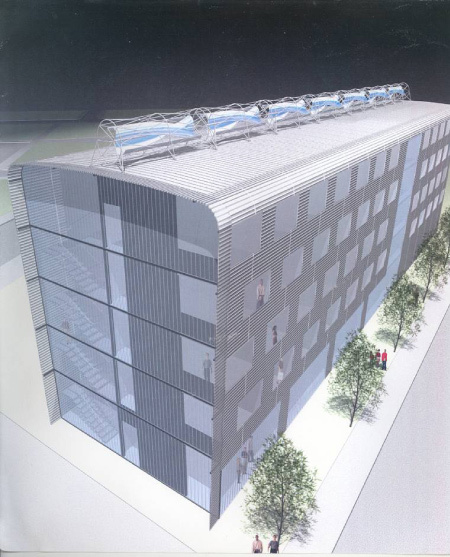 The south-southwestern side will be covered with Unisolar PV panels in the balconies. 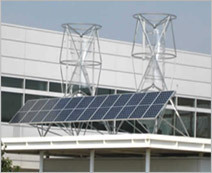 Solar evacuated tubes for hot water and heat-pumps for air conditioning are on the very top of the structure.